Retro rugs— Choosing the perfect retro rug for your home is not as hard as it may sound. By using the right decor elements, you can give your home the perfect blend of quality and style. 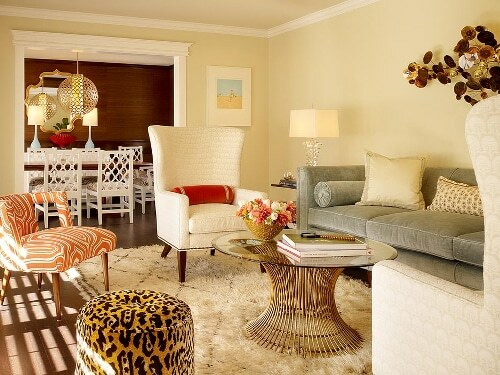 As I have experienced, it can be very challenging to choose the right furniture pieces, which can often be just as hard as buying the perfect retro rug for your home. Some tend to fall in love with retro rugs based on their history and others love their unique characteristics and design, which are both great conversation starters. 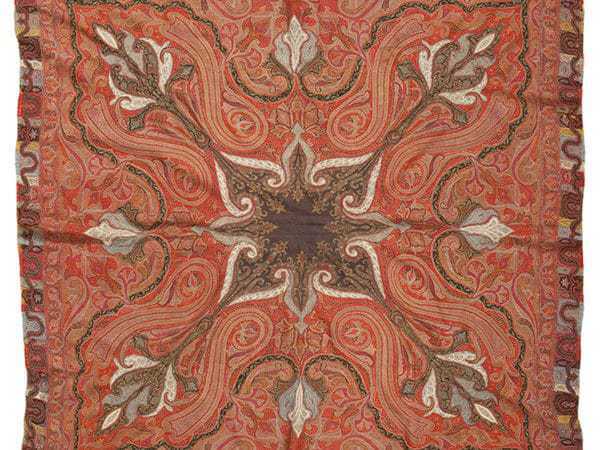 Below, we have chosen some interesting retro rugs and carpets that may interest you! 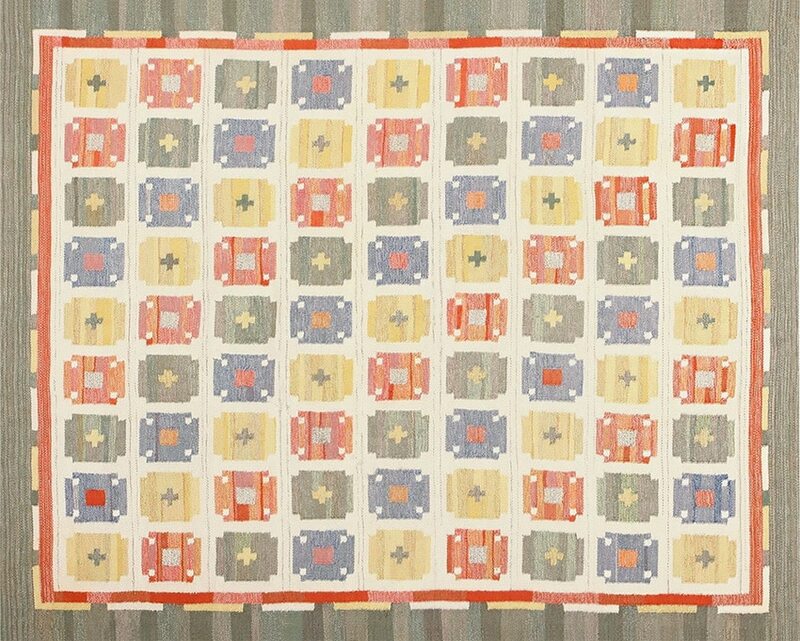 This colorful Spanish Art Deco Rug is the perfect vintage mid century retro rug to show off your bold style. It displays a vivid red border lined in solid khaki filled with flower blossoms. The blue outermost exterior of the medallion gives it a fun, whimsical, and elegant feel making it perfect for a high-rise condo in the middle of the city and it would also work well as a fun centerpiece for a beachfront home. 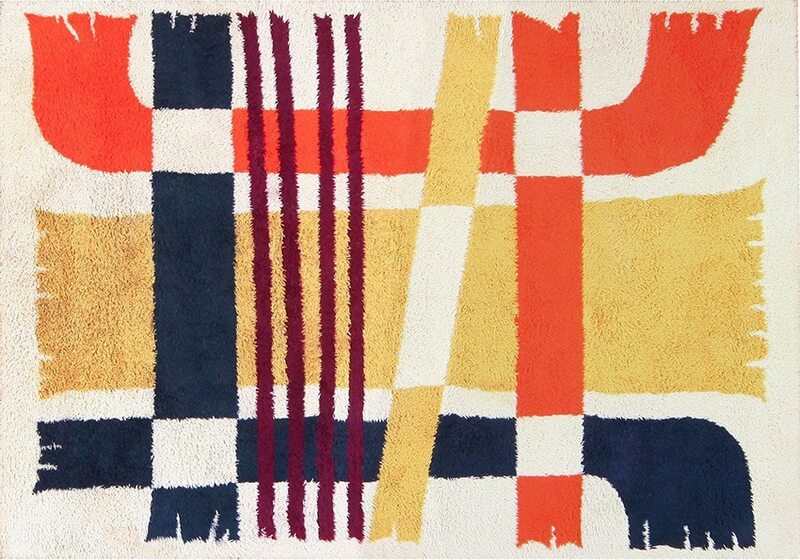 This Vintage Swedish Kilim Rug will certainly add a playful style to your den or living room. 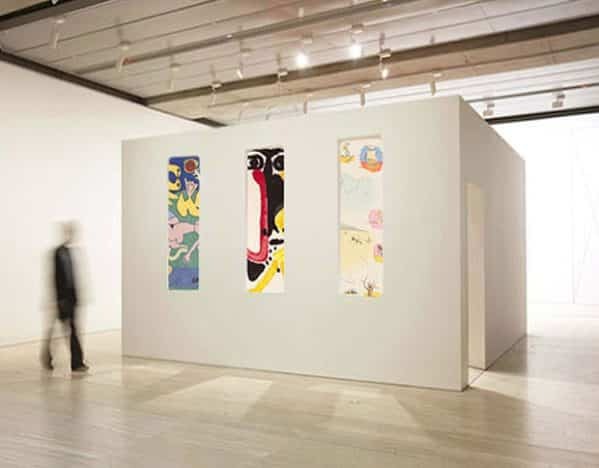 The gentle ivory backdrop houses a series of playfully color combinations resulting in a beautiful degree of variety for the viewer to enjoy. It is the perfect rug to add a fun and interesting element to your home creating a playful stormy vista. This vintage retro mid 20th century Brita Molin Vintage Swedish Carpet is the perfect companion for a luxurious art decorated room. 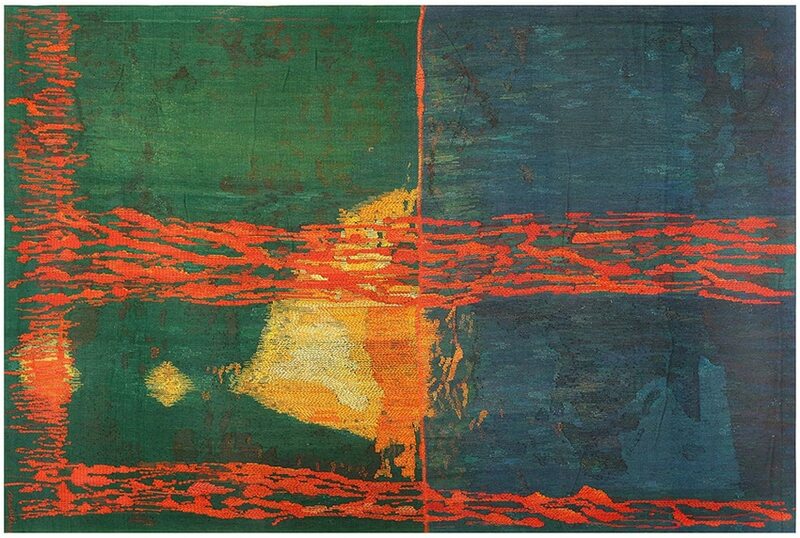 It depicts an oceanic scene cut horizontally down the middle to establish two distinct backgrounds: the top a deep navy blue color and the bottom a rich, inviting sea green. 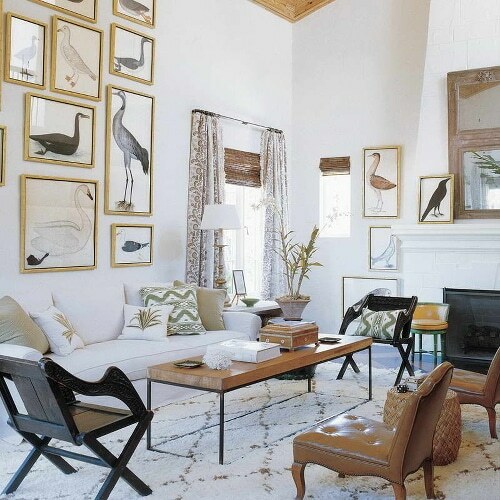 It would go well with beautiful art pieces on the wall and it can truly make a room fashionable, stylish and glamorous with it’s colorful appeal. The mid-century revival is in full swing, with mid century rugs and mod trappings are popping up in chic interiors everywhere. Going all-in is one approach to the trend, but others have different approaches, like incorporating a tasteful, representative piece from the past in an interior that’s all about today. If you’ve been eyeing vintage mid century modern retro rugs in magazines, these are some of the designers that you have to thank. Jayne and Joan Michaels, twin sisters and models turned interior designers, know a thing or two about style. The New York City-based team behind 2Michaels Design scored Design Center of the Americas’ “Stars on the Rise” award in 2012. The duo’s chic interiors hit a resounding chord with the decorating community. 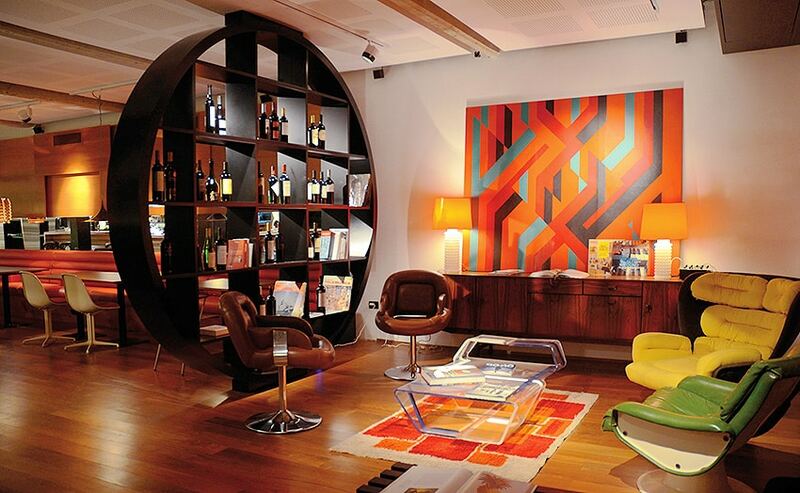 Sleek Swedish kilims with retro colors appear regularly in the team’s modernist interiors. Fresh-faced Ryan Korban made a splash with his exotic-luxe designs. New York’s boyish king of design effortlessly incorporates furs, zebra prints and animal skins in his rockstar-worthy interiors. Mid-century rugs and striped kilims are often found in the designer’s eclectic spaces, which showcase his ability to give the mid-century a modern makeover. Being the creative director of Marie Claire should say something about Nina Garcia’s talents for design. When it comes to decorating, everyone wants to know what trendsetters do with their own spaces. The fashion maven’s impeccably decorated Manhattan abode is a trove of fluffy Moroccan rugs, ryas, Scandinavian carpets and kilims paired with elegant Hollywood regency furnishings that lit up the pages of Architectural Digest. 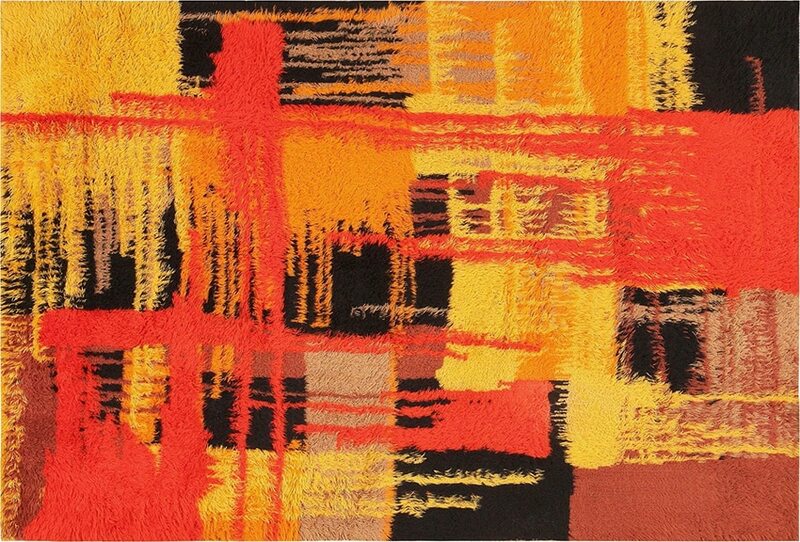 West Coast decorating queen Palmer Weiss has made mid-century modern rugs her own. Her unique style combines California casual and Southern elegance. Some of her best work pairs chic Beni Ourain rugs with posh cottage-style furnishings. The result is pure perfection. Take a page from Palmer’s workbook, and enjoy this winning combination. Perennial crowd-pleaser Nate Berkus has a knack for incorporating mid-century features in his timeless, totally livable spaces. 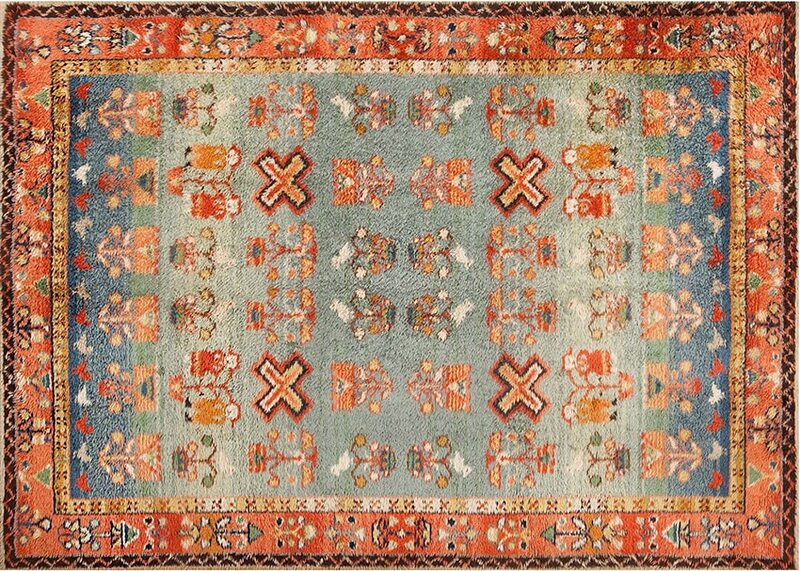 His personal and professional designs frequently feature Beni Ourain rugs, Moroccan kilims and flat-weave Dhurries. This blend of elegance and earthiness is reinforced by ikat textiles and Moroccan-influenced latticework pillows that show the immense versatility of mid-century creations from points around the globe. 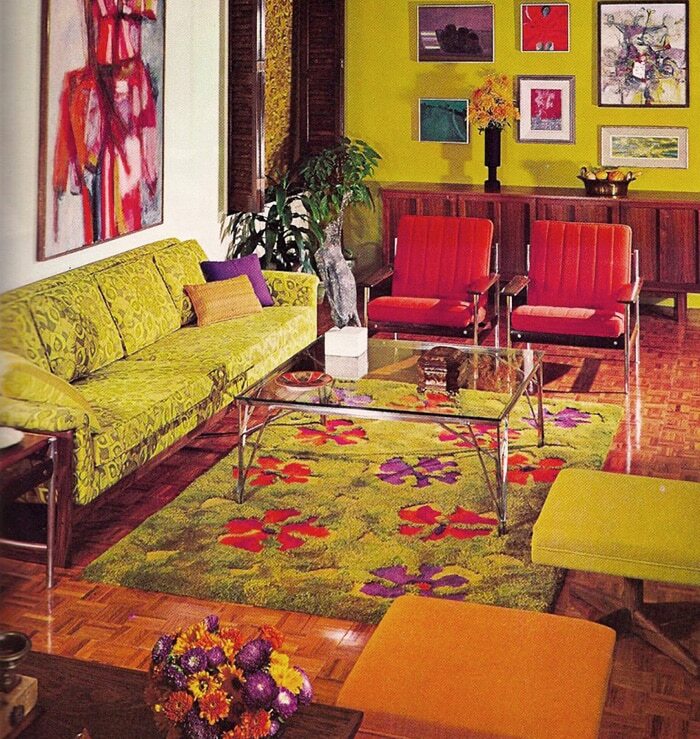 We hope that some of the retro rugs have inspired you. 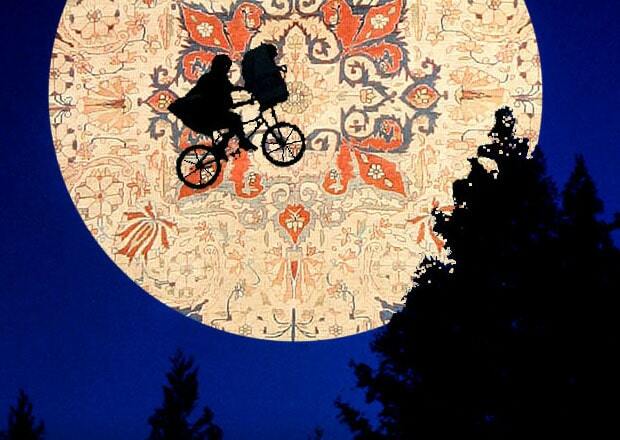 Click to view more of our: vintage rugs. 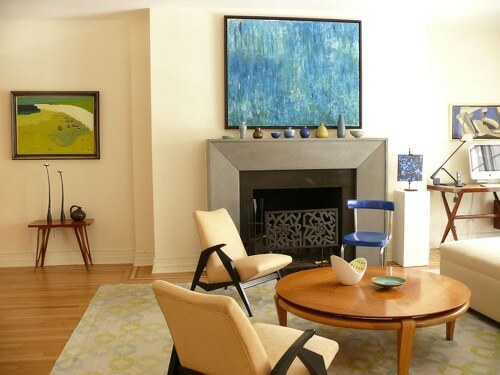 This rug blog about retro rugs and retro interior decorating with vintage rugs was published by Nazmiyal Antique Rugs which is located in the heart of Manhattan, New York City. What a beautiful collection! 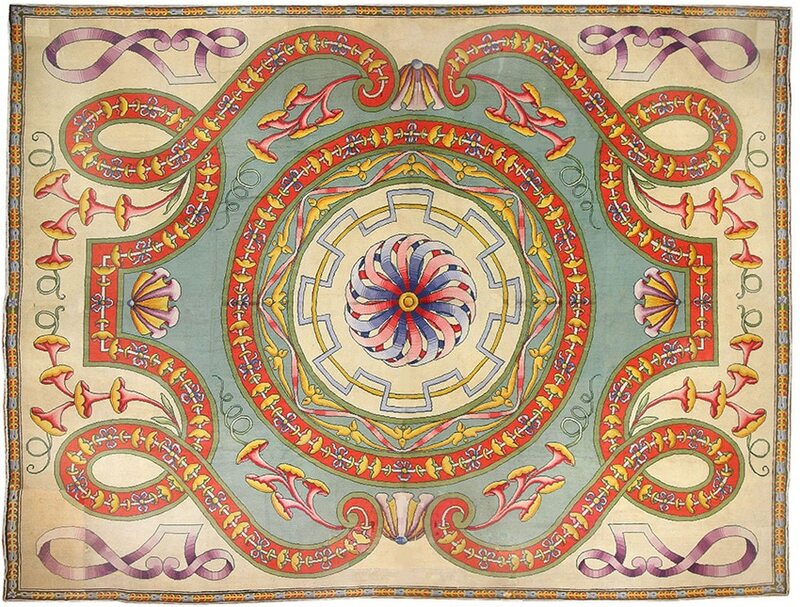 Love these vintage rugs, especially the Spanish art deco rug. These are perfect decor things for your vintage decor.